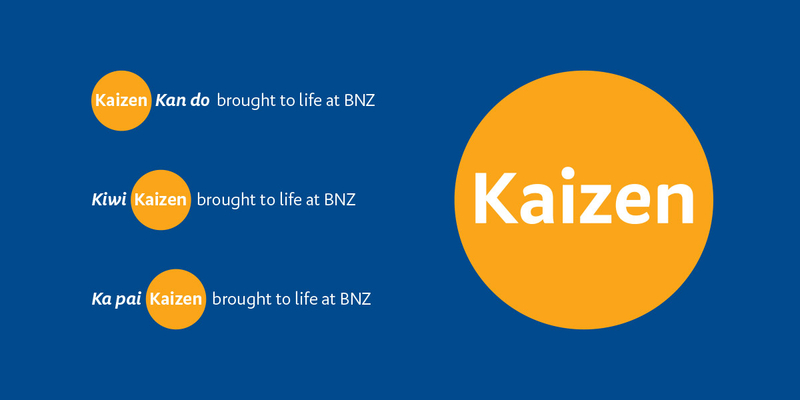 Q: How do you help BNZ to own Kaizen work principles? 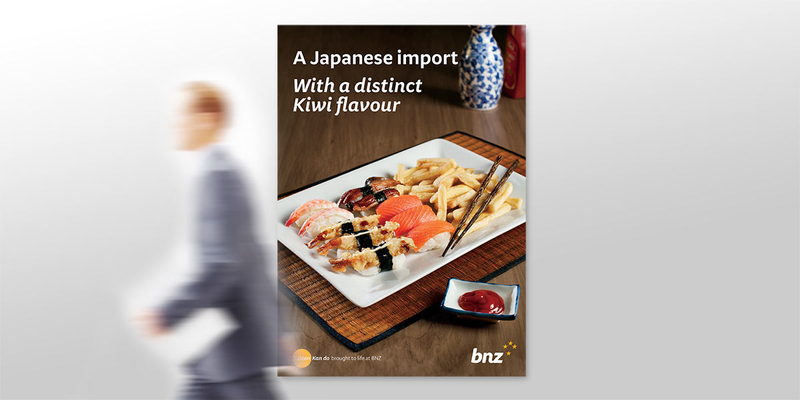 Angle: Kiwi-fy Kaizen with an employer brand campaign. 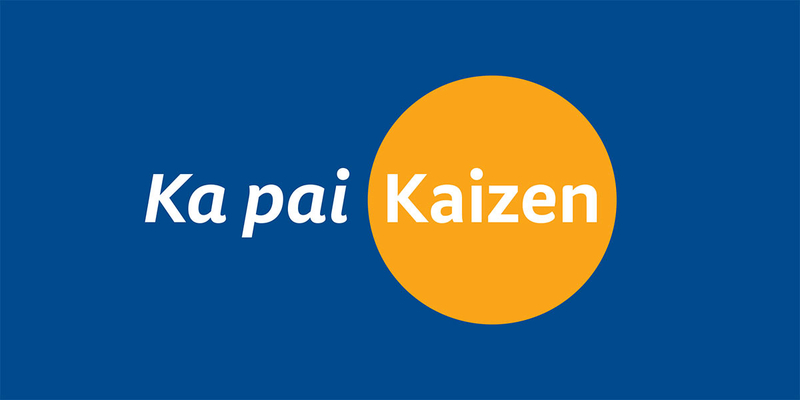 Kaizen is Japanese for ‘improvement’ or ‘change for the better’. 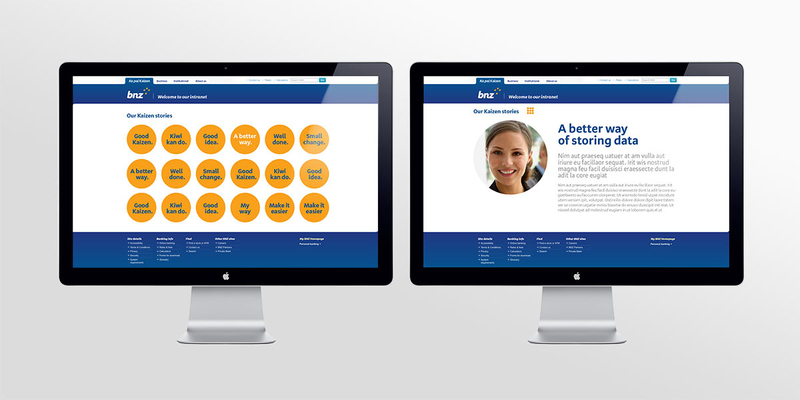 It is a Japanese work philosophy that focuses on improving an organisation’s processes, management and efficiency. Many multi-nationals have adopted it. 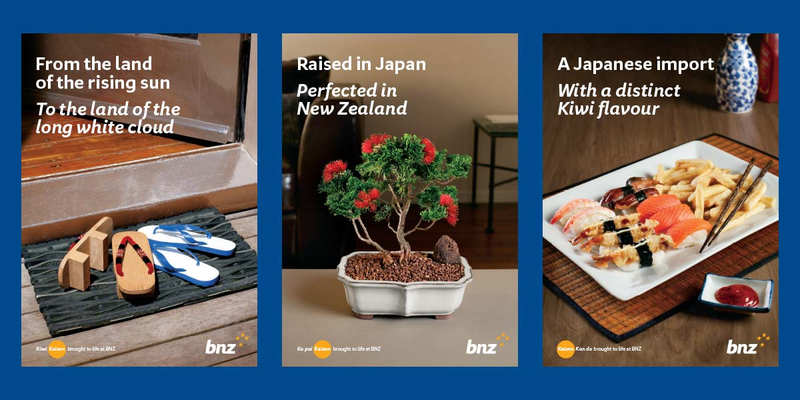 In this country, BNZ have adopted Kaizen thinking for a number of years but recently wanted to raise awareness again internally and promote it as an intuitive part of everyone’s role. 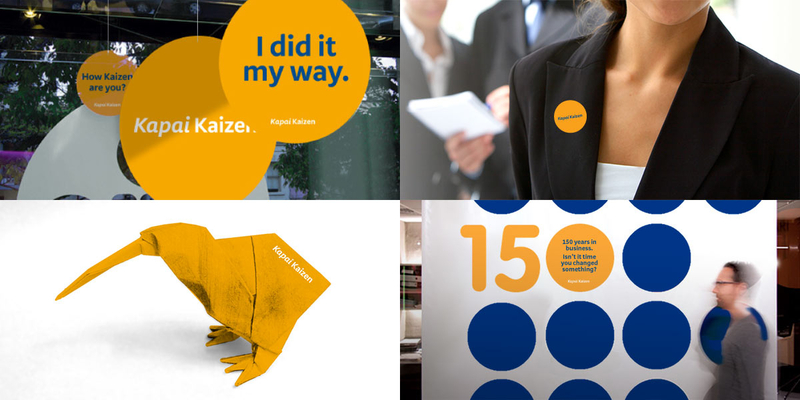 The concept of ‘Kiwi-fying’ Kaizen inspired the internal campaign and subsequent promotions, creating visibility and talkability within BNZ. A highly recognisable visual system was developed, using the circle motif and cross-cultural concepts, on large and small scale applications internally. 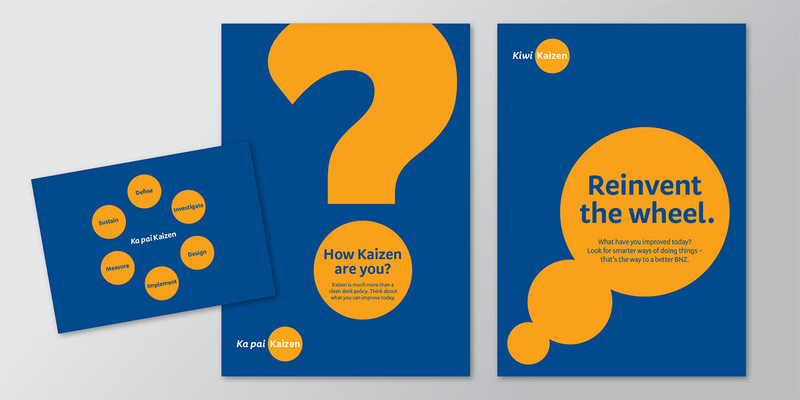 The successful campaign answered a number of objectives: BNZ-ify Kaizen, grab attention, raise awareness, create talkability, raise Kaizen’s importance, reach everyone (top to bottom), motivate employees, make Kaizen feel intuitive, encourage BNZers to share stories and leave Kaizen feeling refreshed and relevant. Project completed with DNA, Auckland.